2. 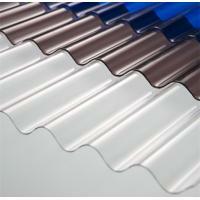 Weather resistance: it has 50 micron UV protective layer. 3. 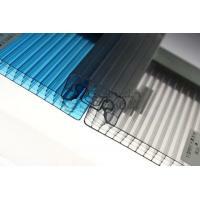 Impact resistance: it is hardly broken, its impact strength is 10 times of the ordinary and 2 times if toughened glass. 5. Light weight: it is light, easy to handle and drill, convenient for construction and procession. With 20 times the impact resistance of fiberglass and over 40 times the impact resistance of glass or acrylic (Figure 4), our Corrugated polycarbonate sheet resists hail, wind, and vandalism. 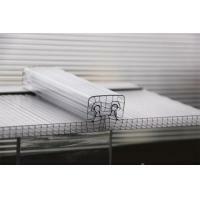 Corrugated sheet maintains this superior impact resistance at temperatures ranging from -40°C to 120°C. 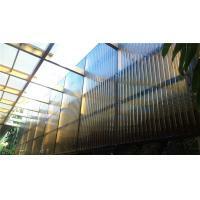 Corrugated Polycarbonate Sheet can help save energy because of its thermal insulating capability. 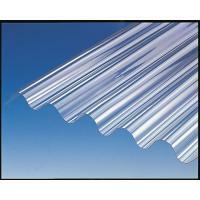 Compared to fiberglass, which has a U-value of 1.56, Corrugated Polycarbonate sheet insulates with a U-value of 1.2. 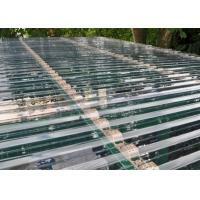 Although Corrugated Polycarbonate Sheet is unharmed by many chemical substances, it is important to avoid contact with adhesives, paints or solvents which are incompatible with polycarbonate. Chemicals to avoid include benzene, gasoline, acetone, and carbon tetrachloride, among others. 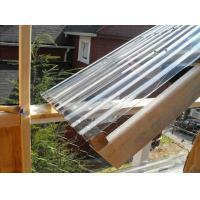 Only recommended cleaners should be used to clean Corrugated Polycarbonate Sheet. 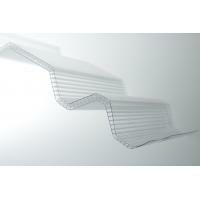 Corrugated Polycarbonate Sheet meets the requirements of an approved light-transmitting plastic as described by all three model building codes (ICBO, BOCA, and SBCCI). These include ASTM D635, D1929, and D2843. 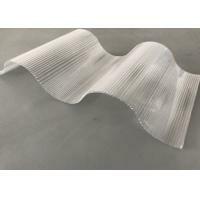 Corrugated Polycarbonate Sheet exhibits superior flammability performance when compared to typical fiber reinforced polyester (FRP) and acrylic sheet materials. 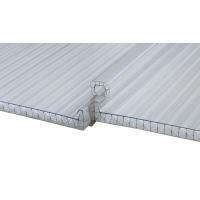 Corrugated Polycarbonate Sheet reduces labor costs because its light weight simplifies handling, transportation, and installation – particularly of long spans in high places. 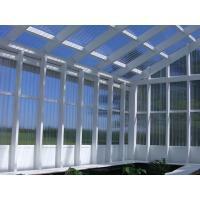 Corrugated Polycarbonate Sheet is only one-quarter the weight of glass on a square-foot basis. HAINING OASIS BUILDING MATERIAL CO.,LTD is an professional manufacturer and exporter of pvc panel. Established on 2011 and Located at Haining city which is between Shanghai airport and Hangzhou Airport. 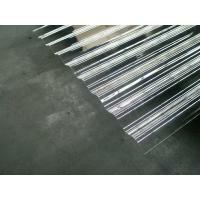 We have nine advanced producing line for pvc panel. Our factory always focus on quality control, scientific management and R&D, so that we can supply the high quality, competitive price and best service for our clients. That is why our products enjoy good markets in worldwide, such as Latin America, Middle east, Africa and south asisa. On 2015, we established first branch company at Bogota,Colombia,till august,2017, we have 4 warehouse at Colombia. Welcome to your inquiry and visit us!